TMJ - In dental language TMJ stands for Temporo-Mandibluar-Joint. This is the joint that your lower jaw, or mandible, shares with the temporal bone of your skull. The human TMJ has evolved and adapted over the millennia to allow us to speak and walk upright. With this evolution (or creation, if you will) has come a propensity for certain dysfunctions characteristic only of humans. It is thought that no other species has TMJ problems. 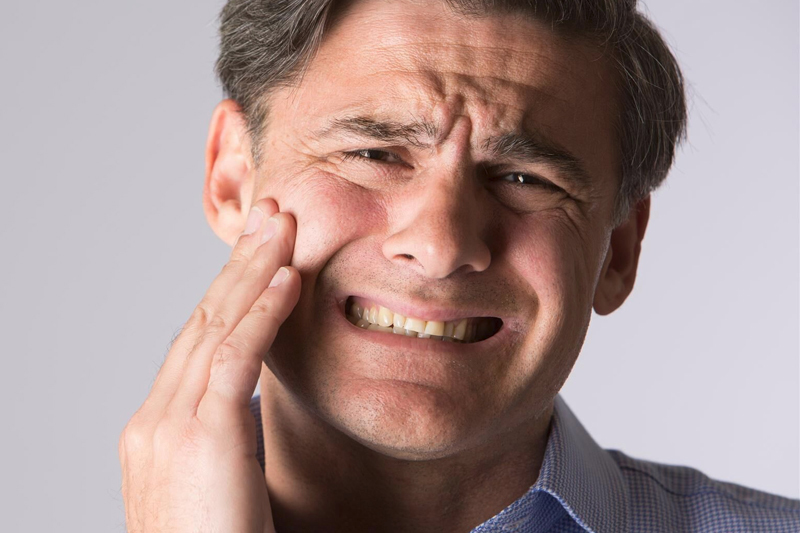 TMJ pain is more prevalent at age 16 or older, and can strike when it is absolutely the last thing you have time to deal with right now. Common symptoms include headache, neck ache, and pain on opening, closing, or chewing. Not only can TMJ be painful, but the noise of popping and clicking can be embarrassing. It can be a frustrating and sometimes even frightening disorder. We understand this and will do everything possible to help you get well again. The most important first step in healing is to get a thorough health history. We will discuss your symptoms with you at some length, and do a complete TMJ clinical exam in order to arrive at a correct diagnosis. TMJ Dysfunction is a popular term to describe a disorder of the jaw joints or the muscles that control the joints. Symptoms masquerade as a multitude of other problems such as sinus headaches, migraines, neck and shoulder stiffness and earaches. Dr. Talaber successfully treats TMJ and Migraines. jaw-joint pain. Click here to read the article.